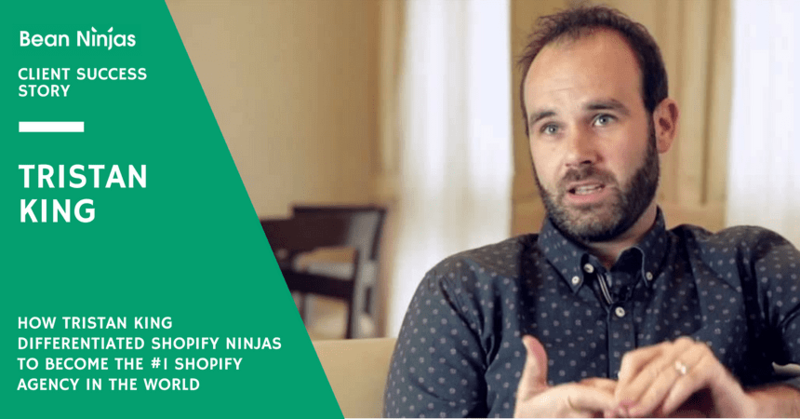 How Tristan King Differentiated Shopify Ninjas from a Saturated Market to Become the #1 Shopify Agency in the World. EDIT 20 Sep 2016: Shopify Ninjas has been rebranded as Blackbelt Commerce (here’s why). Tristan King, founder of Shopify Ninjas, helps entrepreneurs and business owners build premium online stores using Shopify. After building several stores for his own ventures, he liked it so much that he began specialising in it, helping friends and clients build their own storefronts…. Today, they’re the world’s highest-rated official Shopify Experts, and have worked on over 400 Shopify stores. Tristan heard this question a lot in the early years of his business. With the rise of marketplaces like Fiverr and Upwork, there’s more competition than ever between freelance developers, churn-and-burn development shops, and agencies like Shopify Ninjas… and it’s not always easy for customers to work out the right option for their particular business. While it’s appealing to work with a freelancer who charges $5 an hour, Tristan says you have to weigh up the risks — will they produce a good standard of work, and communicate in a timely way? Will they be cooperative with revisions, and will they actually deliver the final project? All too often, freelancers will disappear at the last minute with all the critical code, or a big production shop will cut you off at a certain number of revisions before you’re happy with the state of your new store. They position themselves as more of a ‘development partner’, rather than just ‘website builders’, with a focus on gold-standard service for every client. Tristan’s team works all over the world — they’re distributed across Australia, North America, Europe and Asia. His focus has been on developing a culture that’s fun, personable and accessible for both employees and clients (and given that client count, he’s obviously done a good job of it). He attributes part of this success to the fact that he’s selective about who Shopify Ninjas will and won’t work with. They’re a boutique agency that really cares about the look and function of the websites they build, and so Tristan often turns down potential customers who want a store to be up and running in a week or two, or who are only willing to spend a sliver of their revenue on creating a great online presence. All these fall under a single focus — providing unrivalled service to every client. When he first starts talking with a potential client, Tristan focuses first on getting to know the people he’s dealing with, and getting a deep understanding of their business. He finds out all about their products, who their customers are, and what their goals are for building out the business with a Shopify store. Only once he has a clear profile of the client will he go ahead. This enables his team to build holistically — they can keep the client’s priorities and customers in mind throughout the entire process, so they can avoid adding any aesthetic or functional features that wouldn’t suit that business. Now, people generally come to Shopify Ninjas through Google (they rank #2 after Shopify’s own website for “Shopify Programmer”), through their blog which covers a range of (according to Tristan) ‘nerdy’ Shopify topics that help store owners, or through word of mouth. Shopify Ninjas also sell some digital products which attract a lot of store owners, who then often flow on to full development projects. They’re also listed in the Shopify Experts Portal as one of the official Shopify Experts — they have the most reviews out of all the Shopify developers… and are ranked as the top Shopify expert in the world. Tristan is very humble about this, but he still does all the client acquisition and onboarding himself. 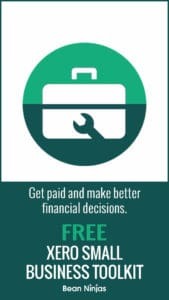 Even though it’s something he could delegate, he wants to get to know each of his clients and make sure that the two parties are the right fit for one another. Instead of limiting the business’ growth, Tristan’s presence in this process improves it, by creating a high-touch element that differentiates Shopify Ninjas from the providers obsessed with the ‘automate-outsource’ way of doing business. Once everyone is comfortable with each other and the priorities for the project are clear, Shopify Ninjas will put together a proposal that clearly outlines everything that will be included (and everything that won’t be), with a fixed-cost breakdown of all the pricing. Tristan decided on this model after seeing too many businesses getting burned by ‘hidden costs’ and sneaky price hikes mid-project. Transparency is a critical differentiator for his business, so he will go back and forth with every client as needed to make sure everyone is happy with the details, and then the Ninjas get to work. The team shares specific milestones with the client, so that all parties can stay updated on how everything is coming together. The client can even log into the website and watch in real-time as pages are updated and the project unfolds. As the store approaches completion, the team goes through several rounds of revisions to make sure the client is completely satisfied. Then it’s time to launch the store and hand it over for the client to manage. To ensure that the rounds of revisions are productive, and to avoid scope creep, Tristan has implemented a few simple strategies to ensure they have a happy client and that the jobs are still profitable for Shopify Ninjas. They use a specific scoping spreadsheet that allows for some limited revisions, based on the team’s previous experience. They usually allow two rounds of revisions per project, and set specific boundaries about what is and isn’t included. Sometimes, leaving a customer happy requires a little flexibility — allowing some small changes, then quoting on larger ones. While there’s not a bullet-proof formula for this, Tristan says that generally, you should set boundaries when scoping (these changes are allowed, but those type of changes will be scoped and billed as extra), and allowing for revisions when your team has the capacity for them. Clearly, Tristan and his team are obsessed with creating the perfect store for each client, and you can see a whole range of the stores they’ve built here on their Portfolio page. Tristan says his key focus for the next few years is to grow slowly, taking on bigger clients and solving some of the more complex problems on Shopify, as well as building his team with the best people he can find. “Discovering the best Shopify developers in the world is mostly really fun, and effective for business too. But, I’ve also had to learn a lot (and am still learning!) about managing across timezones, distances and juggling projects among team members. As the team gets larger, there is more to learn. I’ve read books on the subject, spoken to people I respect whose businesses are bigger than mine, and also learned by doing. I’ve used the time that Bean Ninjas saved me to run my business, instead of worrying about accounting. I love that with Bean Ninjas I can just consider my bookkeeping, BAS (Australian equivalent of sales tax filings), and reconciliations ‘done’, without having to dive into the details. Tristan and his team are working on steadily expanding their capabilities, and have some exciting projects in the pipeline over the next few months, which will be announced soon. They’re focused on maintaining their #1 Shopify ranking and growing their team with the best developers they can find. Want to connect with Tristan and the team at Shopify Ninjas? Head over to the Shopify Ninjas website. And if you’re interested in how Bean Ninjas can help save time and stress in your business, click here.